CME will attend 2009 NAMM Show at Anaheim Convention Center from Jan.15th -18th. This year, CME booked 1200 feet booth and will display its full product line from Mater Keyboards to audio interface and Monitor speaker to newly announced Neosynth 24 expansion board. Moreover, The latest CME V2 series products will be announced at NAMM show. 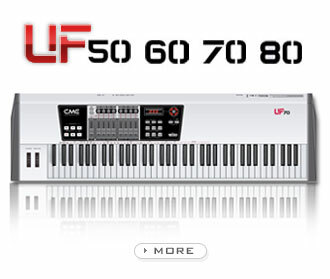 It’s contains latest V2 version firmware for VX UF series master keyboards and UKEY/MKEY ultra-thin keyboards. The latest firmware will make the keyboard more powerful and stable. We would be highly pleased to have your visiting and Looking forward to see you soon.